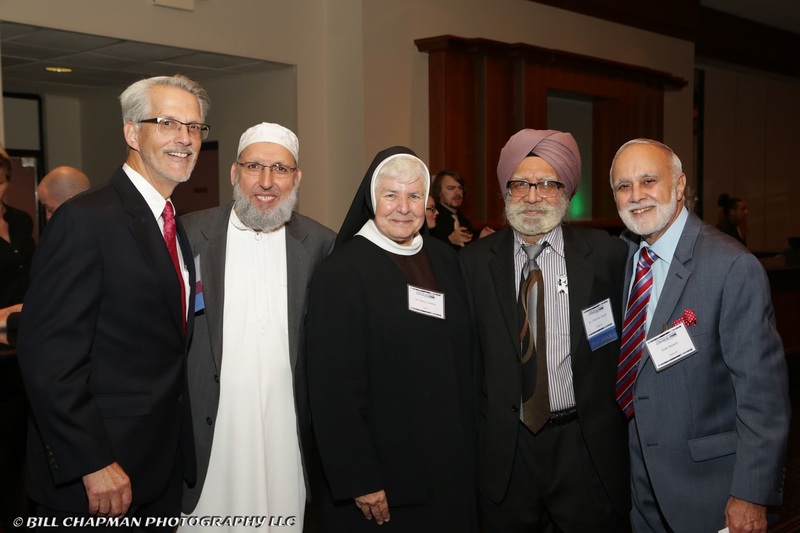 On Wednesday, October 5, the Detroit Interfaith community celebrated its best and brightest in the Leadership Council’s 4th Annual dinner that took place in Livonia, Michigan. 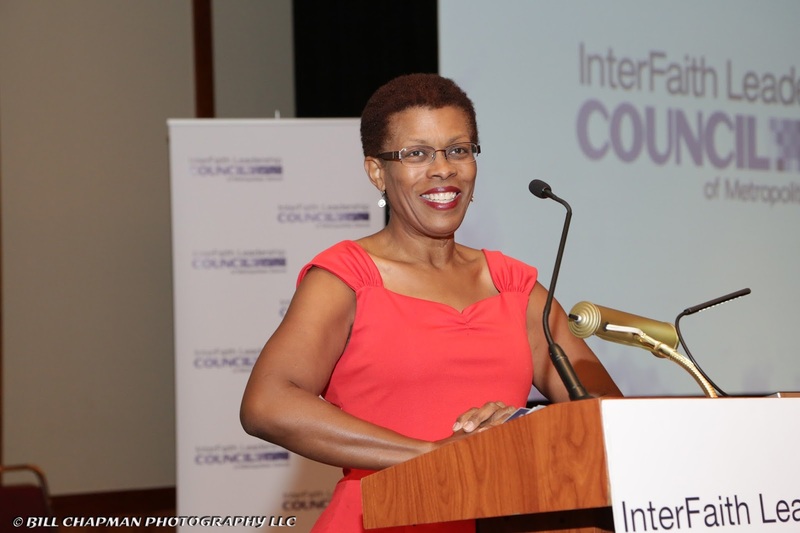 The Leadership Council (IFLC) serves as the umbrella and major driving force behind the Metro Detroit community and originated in 2001, in the wake of 9/11. 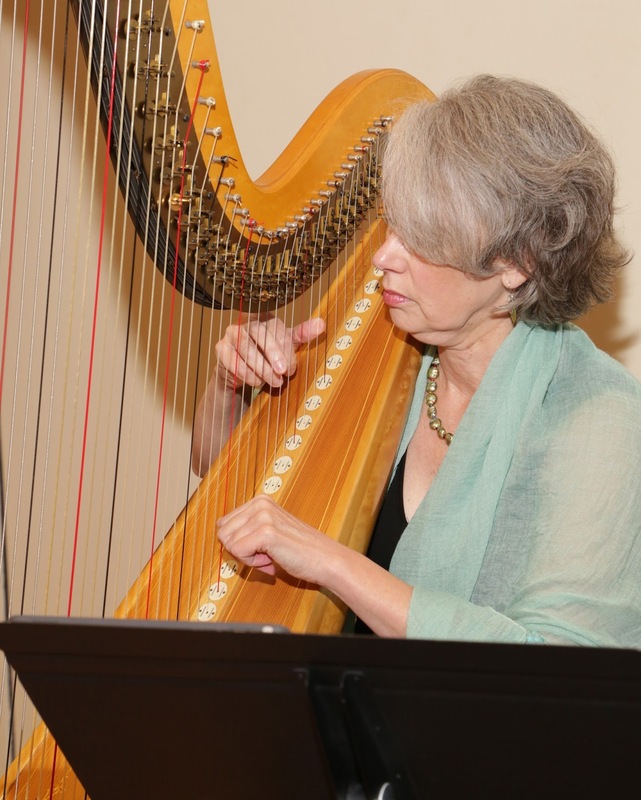 A calendar listing of interfaith events and related items in the Council’s weekly newsletter serves a broad purpose of keeping a very large and diverse community informed of the many events in Detroit. The event gathers hundreds of folks each year to celebrate those leaders who exemplify vision and achievement in the service of community. Prior to the dinner and awards presentations an anteroom had appetizers, a cash bar and a silent auction with numerous items, artistic and reverent. 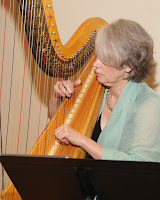 We were entertained by the delicate sounds of harpist Christa Grix as people filled in and began associating. I munched on cheeses, fruits and shrimps, amongst other offerings and took in the calm splendor of beautifully dressed women of various cultures and religions, and smart-dressed men in Western style mostly, but some in vestments that marked Muslim or Hindu style as well. between our religious paths proved just as enlightening to them as myself. Although they were aware of modern, Ancient European derived Pagan type religions we were able to fill in some blanks between our worlds. Another win for Interfaith. Afterwards I ran into Stan Nunn, aka N’shan, who is one of the most well-known Wiccan and Pagans in the local community serving on various committees and organizations, including MEC which produces the annual Convocation (http://www.convocation.org) event each February. N’shan is also the founder and main Priest at the Pagan Pathways Temple (http://www.paganpathwaystemple.org) which is the Detroit area’s first bricks and mortar temple for Pagans, located in Madison Heights the near-North suburb of Detroit. Several years ago I served with him in the Tempest Smith Foundation. 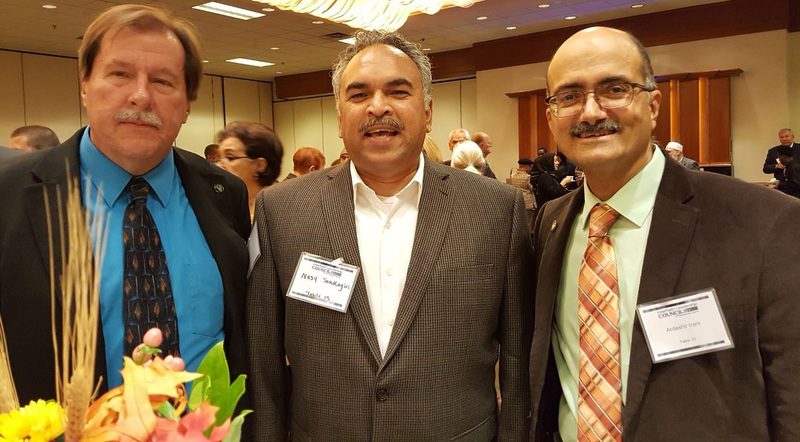 He is a tireless worker and proponent for our community and many folks of Pagan faiths. We soon were bid to enter the dining area and sit at our assigned tables. I was pleased that Dr. Albini was next to me and we had some conversation before the room became too loud. These occasions are opportunities to meet new folks and we had quite a mix at our table, in both geographic locations and gender, racial and religious make up. Everyone was warm and pleasant and we enjoyed a sumptuous dinner with several choices of meats and vegetarian main servings and a full compliment of sides representing our area’s big diversity. It was hard to avoid the lavish deserts, but I managed, something I always do. It is truly an act of will to avoid all the sweets, calories and fats I find at these events. With the holidays looming there would be plenty of chances to eat bad and risk other ill health effects. frequently on the Sunday morning talk shows and is an inspiring speaker on many levels. She also battles weight gain and possible diabetic symptoms like me. While she spoke on her personal story as a voice of encouragement she eloquently put names to faces, speaking of the culture and fabric of our own beloved community. Detroit is a hard place to love, let alone to be in. Those who work here in the name of Interfaith are a part of the immense tapestry and history of many movements that have either started here or had their key moments here. Ms. Riley mentioned the Social Justice, Civil Rights, Workers’ Rights, Women’s Rights movements and their relevance to Detroit. There are many beautiful folks in the local Interfaith and religious communities, the true backbone of belief and faith in the city and metropolitan area. I am proud and humbled to be a part of this all. Detroit finally, maybe, is coming back. There seems to be so much going on. Geopolitical, Financial, the Arts, Night Life and everything else are all connecting dots. Young people from outside the city borders are moving back into the city, not just the convenient parts of down or mid town either. And this night’s program was all about sharing that and more. 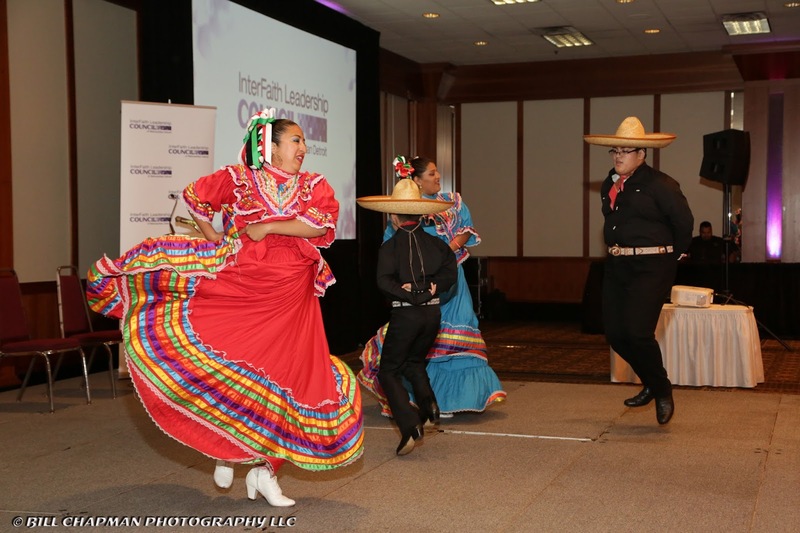 Besides Ms. Riley’s and Honorary Dinner Chair Shirley Stancato’s welcome we enjoyed a lively performance by Ballet Folkorico Moycoyani Izel who were marvelous. It had been a long time since I enjoyed a live performance by a traditional Mexican dance troupe and the performance was really fun to watch, and brought everyone together a little bit more. After Hazzan Steve Kaper’s Invocation the various presentations began with short films about the histories and bodies of work for the awardees. These were well put together and I found myself overwhelmed and deeply happy to see such effort and work as this, rewarded by the people, through this remarkable night. 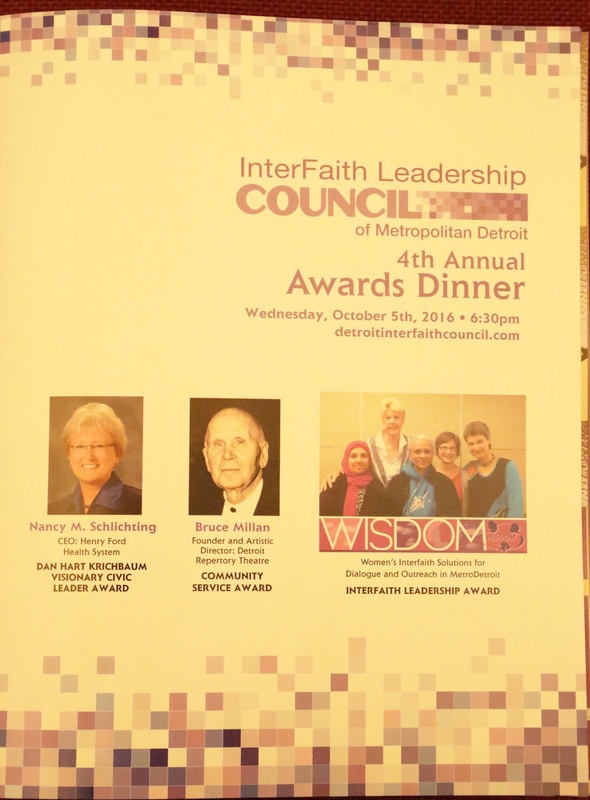 Dialogue and Outreach in MetroDetroit, receiving the Interfaith Leadership Award. Then Bruce Millan, the founder and Artistic Director of the Detroit Repertory Theater received the Community Service Award. Finally, Nancy Schlichting, CEO for Henry Ford Health System received the Visionary Civic Leader Award. Raman Singh and Robert Buttrell who are the new President, and Chairman, respectively, of the Detroit Interfaith Leadership Council gave each introduction and award. Again, I can’t say how informative and inspiring these presentations of film and other media were. They really captured the spirit and courage of some area folks who really deserved to be rewarded for their work in Detroit. It was a great evening and you can see photos and other coverage of this and other IFLC events are at their web site: https://detroitinterfaithcouncil.com.